This message contains confidential information. If you are not the intended recipient you should not disseminate, distribute or copy this e-mail. Please notify the sender immediately by e-mail if you have received this e-mail by mistake and delete this e-mail from your system. E-mail transmission cannot be guaranteed to be secure or error-free as information could be intercepted, corrupted, lost, destroyed, arrive late or incomplete, or contain viruses. 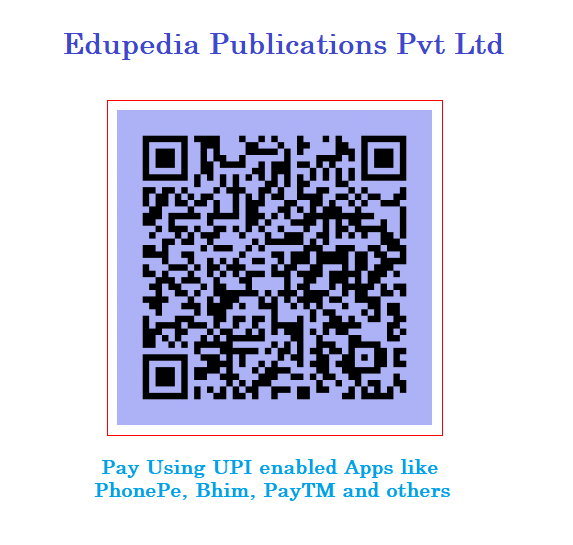 Edupedia Publications Pvt Ltd therefore does not accept liability for any errors or omissions in the contents of this message, which arise as a result of e-mail transmission. If verification is required please request a hard-copy version. Please do not print this email unless you really need to. Think Green!